What are drilling rigs used for? A drilling rig is a machine that makes holes in the earth’s surface. The drilling rigs can be very big structures that hold equipment that is used to make water wells, natural gas extraction wells, or oil wells. There are many different types of drilling rigs. The drilling rig that is used is dependent on the specific requirements needed for the drilling site. Here are a few different kinds of drilling rigs. This kind of rig is the most common for exploration. The land based drilling rigs today are a lot smaller and more efficient than ones used in the past. 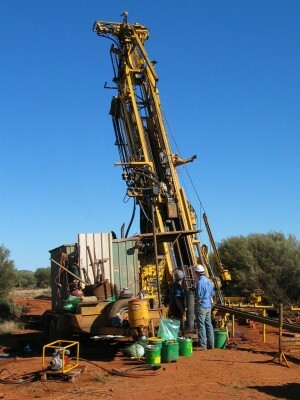 A slim hole-drilling rig is a lot smaller than a conventional one. It can sometimes be more than twice as small as a conventional one. Slim hole drilling rigs generally drill out less rock compared to the conventional one and it also takes up less space because it is smaller. Not all environments allow for the use of a slim hole-drilling rig. Normal holes are drilled using rigid pipe to form the drill string. Sometimes, coiled tubing is used instead of using pipes. Doing this has many benefits such as minimized equipment footprint and less drilling waste. This is a great option for areas that are environmentally sensitive. This is best used for re-entering wells. These are used in shallow water (less than three hundred feet deep). A jackup rig is a floating barge that has a drilling structure that is supported by legs that can either be lowered or raised. The Jackup is usually towed to its location. These rigs are very strong because they can hold through strong waves and ocean storms. They are considered cost effective because they are easy to move if a storm comes and they are also very strong and durable, even in the worst conditions. This kind of rig is meant for drilling in water that is deeper than three hundred feet. The Semi-Submersible rig relies on a floating platform to hold it. This design of the semi-submersible rigs have advantages. Semisubmersible rigs can operate in a big range of water depths, including water that is deep. Semi-submersible rigs can be attached to the ocean bottom using wire cables or strong chains or it can also use dynamic positioning to keep stationary during the drilling without anchors. For exploration of things that are far in the ocean, the drill ship is needed. This ship is designed to drill a hole in waters as deep as ten thousand feet. These drill ship rigs float and they can be ether attached to the ocean floor or they can use an anchoring system. They can also use dynamic positioning to remain in the same place during the drilling with no anchors.